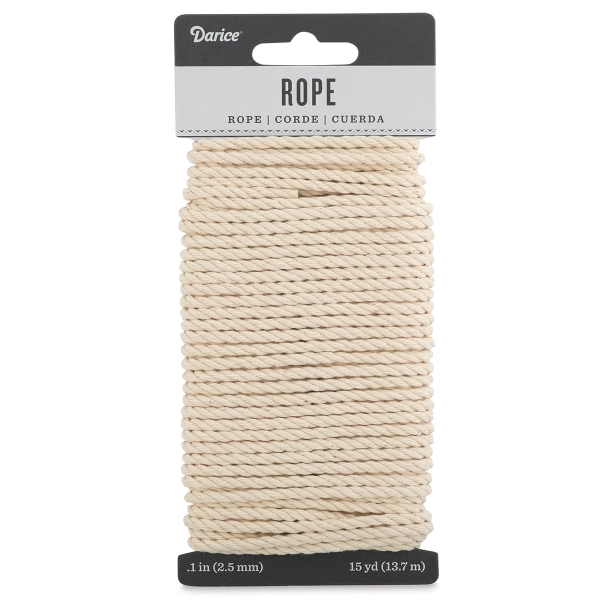 Cut, tie, and knot this ivory cotton rope to suit all your crafting needs. This versatile 3 mm rope is perfect for adding embellishments to paper crafts. It's also great for hanging and creating decorations. It comes in 15 yd lengths.